What are Points to be Considered While Applying for Australia Work Visa? Australia Work Visa – Australia is nation having diverse landscapes as well as diverse cultures. We tend to enjoy a high quality of life, and Australia offers numerous opportunities to anyone who is willing to explore this nation. Visa entitles the individuals to work and also provides an opportunity to work and live in this nation as a temporary or permanent resident. The individuals to apply for points tested skilled migration visa, at the time of invitation they must nominate an occupation that is relevant on the SOL(skilled occupation list). 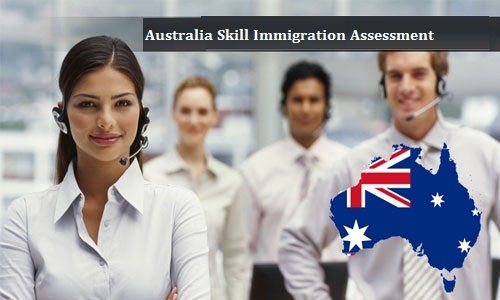 The individuals should provide evidence that their skill has been assessed as suitable for nominated occupation by relevant Australia Immigration and Skill Assessment. When a person is planning to visit Australia on Australia work visa, there are important things which need to be considered as to what are the requirements for this visa as well as obligation while in Australia and also information about complying with the varied conditions of your visa. To work in Australia, the individuals should have a valid visa with work rights. It is the individual’s responsibility to contact the relevant authority for Skill Assessment for Australia for the nominated occupation and obtain skills assessment. We find each assessing authority does have its own assessment procedures, time frames as well as charges. The individuals must be strongly advised to contact the relevant assessing authority to arrange their skills assessment well before they intend to submit their expression of interest in skill select. Before submission of expression of interest the individuals, however, might apply to any number of skills assessing authorities until they obtain the suitable skills assessment. In case if the individual is unable to change their nominated occupation once they have been invited to apply for the points tested skilled migration visa in skill select. I already hold Schengen Visa; do I need a visa to make trip to Australia?